West Publishing Company, 1998-06. Hardcover. Good. Edition : First edition of the final issue of this periodical. Buena Vista Home Ent, 2002-07-09. VHS Tape. Very Good. VHS plays perfectly. The case has some wear. Previous rental. Smithsonian Institution Scholarly Press, 1998-10-17. Hardcover. Good. Molto Gusto: Easy Italian Cooking. New York: Ecco Press, 2010. Signed by Mario Batali . First edition / First printing. Pictorial laminated boards. Very fine in very fine dust jacket. 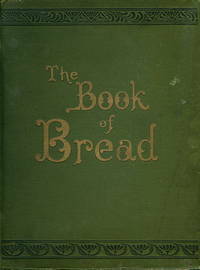 Edition : First edition / First printing. Edition : Published in the interest of better break making. Cambridge, UK: Cambridge U., 2000. 1sts, nf in f dj's, in vg slipcase (rubbed and .25in tear to side edge). Total 2153 pp. incl. index. Please be aware that shipping this item internationally will require extra charges above our standard rate.. First Edition. Hard Cover.